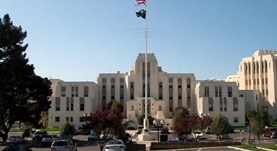 Dr. David Avrin is a recognized interventional radiologist in San Francisco, California. He received the medical diploma from Stanford University School of Medicine in 1975. After getting his medical degree, he did an internship at Stanford University. Dr. Avrin completed his medical education with a residency in Radiology. He is certified by the American Board in both Diagnostic Radiology and Vascular & Interventional Radiology and his subspecialty is General Radiology. 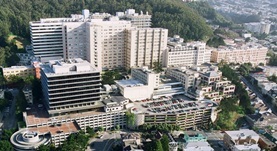 Currently, he serves in the area, being affiliated with several hospitals, including San Francisco General Hospital and Trauma Center, UCSF Medical Center and San Franciso Veterans Affairs Medical Center. He has published a huge number of articles in collaboration with other doctors. Dr. David Avrin has contributed to 3 publications. Patient Radiation Dose Reduction during Transarterial Chemoembolization Using a Novel X-Ray Imaging Platform. Kohlbrenner, R.,Kolli, K. P.,Taylor, A. G.,Kohi, M. P.,Fidelman, N.,LaBerge, J. M.,Kerlan, R. K.,Agarwal, V. K.,Lehrman, E. D.,Nanavati, S.,Avrin, D. E.,Gould, R.; J Vasc Interv Radiol. 2015 Jul 28. Faculty Scheduling: It Should be Easy. Avrin, D.; Acad Radiol. 2014 Sep 10. Providing formal reports for outside imaging and the rate of repeat imaging. Lu, M. T.,Tellis, W. M.,Avrin, D. E.; AJR Am J Roentgenol. 2014 Jun 22.